NFL wide receiver who was named MVP of Super Bowl XLIII with the Pittsburgh Steelers after catching 9 passes for 131 yards and a touchdown. He starred in college for Ohio State University and was selected 25th overall in the 2006 NFL Draft. In 2010, he left the Steelers to play for the New York Jets, and he helped the team reach the AFC title game in 2010 but they lost to the Pittsburgh Steelers. 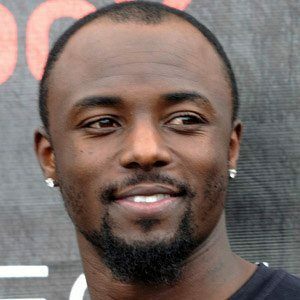 He is the son of Patricia Brown and Santonio Holmes, Sr. He has two daughters named Savannah and Saniya and two sons named Santonio III and Nicori. His joined quarterback Mark Sanchez on the Jets in 2010.